A great example is the morning I took this photograph. Gently paddling across the river I noticed a small flock of Canada Geese in flight. I quickly pulled out my phone and snapped this photo as they approached. 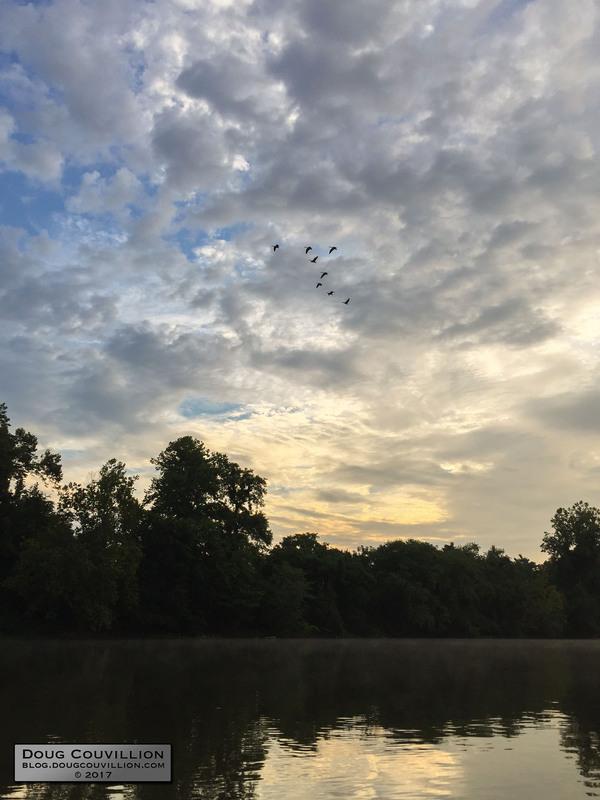 It’s a rather simple picture but I love the way the birds are silhouetted against the early morning clouds. I got to witness that very same thing two days ago but at dusk. It was such a simple pleasure indeed watching a flock of geese on their journey ?